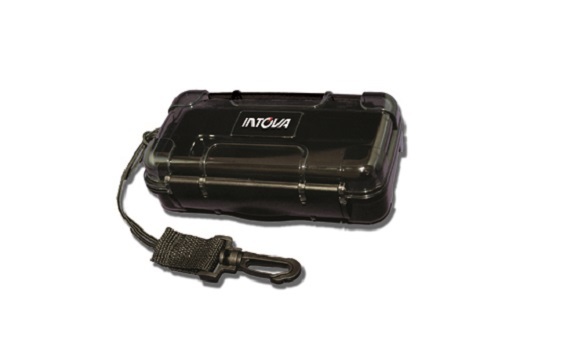 The Intova Waterproof Box is a durable, impact-resistant, polycarbonate waterproof sport case that keeps your important items safe and dry. Shock resistant, dustproof and waterproof to 40 meters. Dimensions: 17.15 cm x 9.53 cm x 5.1 cm. Weight: approximately 292 g.